BeautifulChest.com - SilcSkin Anti-Aging Wrinkle Reducing Decollette Pad and Facial Pads. Our most popular and original product, the SilcSkin Decollette Pad, aids in the elimination of chest wrinkles. 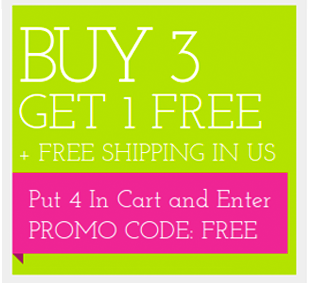 We have five different SilcSkin products for you to try. Our SilcSkin Products are 100% medical grade silicone pads designed to aid in the elimination of and prevention of wrinkles. No adhesives. No additives. Completely non-transdermal. Nothing is being absorbed by the skin. The silicone works by bringing moisture to the surface of the skin which increases blood flow and ultimately collagen to the area and rapidly smooths the skin. Silicone is a material you may be familiar with that helps diminish scaring. 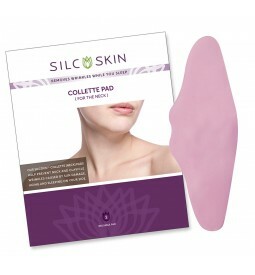 The SilcSkin Decollette Pad aids in the elimination of chest wrinkles. 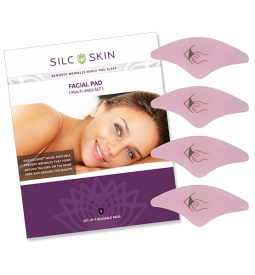 The SilcSkin Multi area pad set will help smooth crows feet, the11s, marionette lines and the nasolabial folds. Think of the Multi Area pad as a patch... If you have a line put the pad over it. The SilcSkin Brow pad set offers one brow pad that completely covers the forehead area as well as coming down over the11s and includes two multi area pads. OurSilcSkin Collette Pad addresses the neck area. It helps with crepiness and loose skin where gravity has taken its toll. 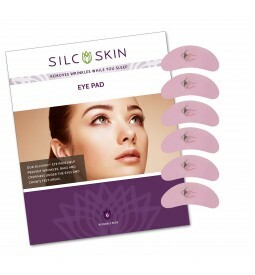 And, our newest product, the SilcSkin Eye Pad set comes with six pads and is made from thinner, softer silicone and is perfect for the delicate skin directly under the eye. The Eye Pads will aid with puffiness, lines and crepiness. And don’t forget about our Exfoliating Beautii Mitt too! SilcSkin products are reusable and washable. You will get about 30 uses out of each pad.